INTIS (Integrated Infrastructure Solutions GmbH) in partnership with CHAdeMO member THD, succeeded in applying the CHAdeMO DC fast charging standard to high-powered inductive charging, a.k.a. wireless power transfer (WPT). Emulating the CHAdeMO protocol, the WPT system enables 100 km of driving range in a little over half an hour of wireless charging. We had an interview with Richard Gould, Head of Business Development at INTIS, on the making of this Wireless CHAdeMO. Q: Why did you choose to use CHAdeMO? When we started thinking about integrating our inductive charging technology to EV charging, the critical question for WPT to function was which interface to use between the WPT-system and the vehicle’s energy management system. This interface enables the EV and the WPT-system to communicate, so that the WPT-system knows when the vehicle is to be charged and how much power is required by the battery. The norm in development for this WPT interface is expected to provide a standard for low-powered (3.6 kW and 7.2 kW) inductive charging within the next 3-4 years. This power level is enough to recharge a typical EV like the Nissan LEAF overnight or while the driver is at work. On the other hand, our WPT system (developed based on experience gained from a previous collaborative project with other industry partners and the Transrapid dynamic WPT application) could transfer almost ten times that power level. A level of power that can provide 100 km of driving range in little more than half an hour of charging, or over 3 km of range for every minute of charging. 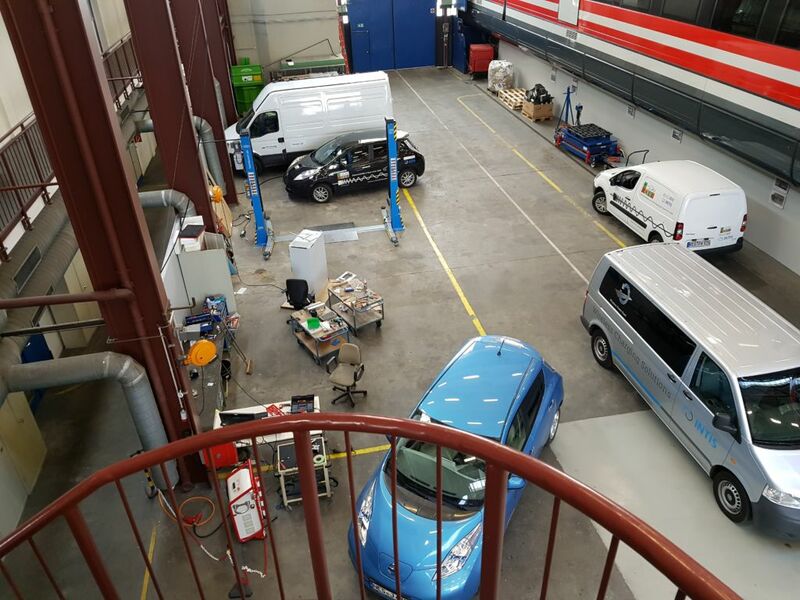 For us it was evident to choose an existing charging standard, rather than to wait for the low power standardisation process to take form, so when INTIS partnered with the Bavarian University “Technische Hochschule Deggendorf” (THD) at the end of 2015, we decided to investigate the possibility of using the CHAdeMO fast charging standard to interface our technology with EVs. 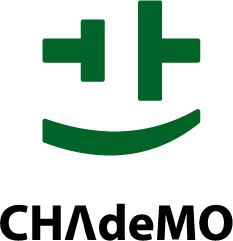 We chose CHAdeMO because it is a well-established standard for DC conductive charging and is used by a number of electric vehicle manufacturers, including the world’s best-selling electric vehicle, the Nissan LEAF. It also made sense to use a DC interface as the power feeding unit would be set outside of the vehicle. Q: How does it work? What exactly are the system components? All vehicles are charged via the vehicles’ existing CHAdeMO DC fast charging interface, with no alteration of the vehicles’ electronics. All vehicles’ safety systems remain intact and unaltered. The fast charging system in each vehicle “sees” a cable connection, so no alteration of the standard was required either. More concretely, each vehicle in our project was outfitted with a receiving secondary coil (“pickup”) underneath the vehicles (appx 90cm x 90cm) as well as two boxes of power electronics in the engine compartment: the first box (the “matching” box) contains equipment to regulate power coming from the WPT and “match” it to vehicle requirements. 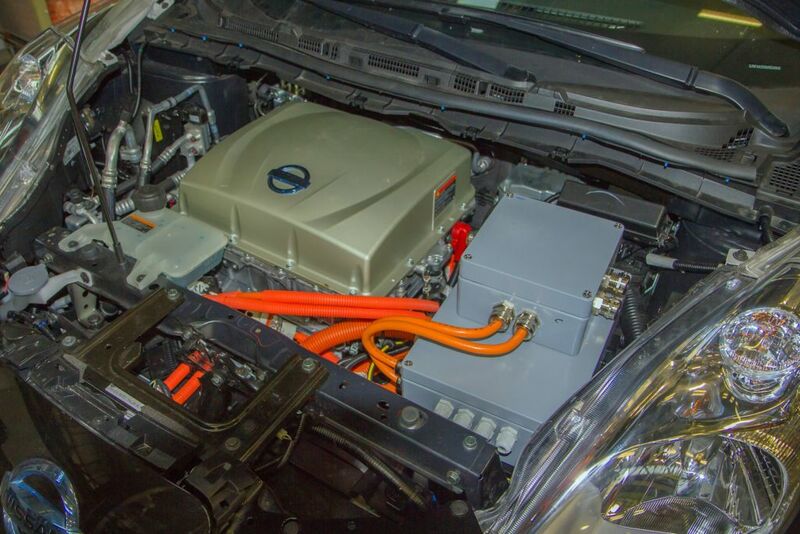 It is connected to the second “CHAdeMO” box which contains the DC fast charging emulation equipment and plays the interface between the vehicle and the inductive charging system, through which all power and communication links run. 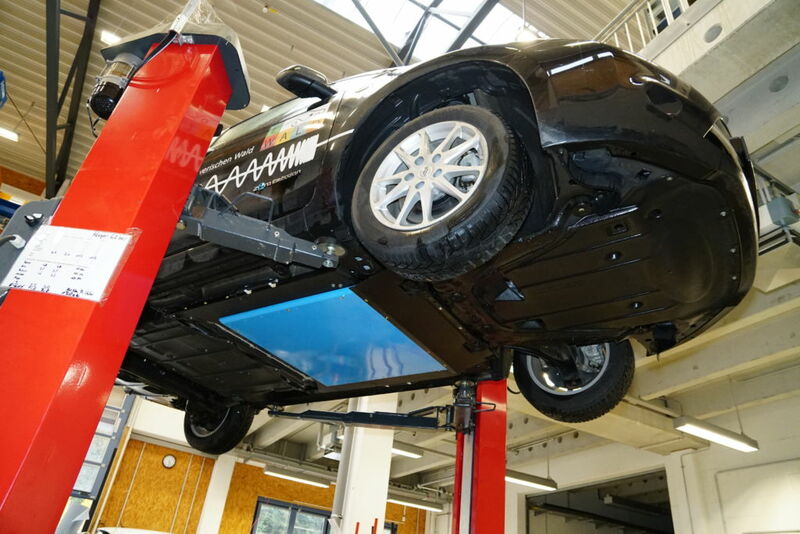 There is also a positioning assistant to aid the correct positioning of the vehicle over the charging plate as well as all the necessary safety systems, such as foreign object detection and living object protection system. An additional display was installed in each vehicle to act as the human machine interface. Q: What was the development process like? INTIS started development of the CHAdeMO emulation technology together with the THD in early 2016 by first constructing a cable charging station to test the basic CHAdeMO functionality. 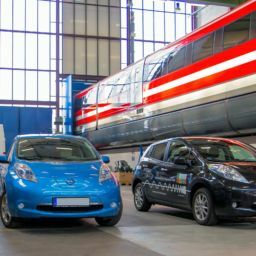 This first step took several months because of the need to ensure that the emulator worked with different vehicles and versions of the CHAdeMO standard. With the cable charging station successfully constructed and fully functional, we then integrated the emulator into a 30 kW WPT-system installed in a vehicle. This allowed us to optimise the emulator’s control of the charging process. This rapid development was possible because of the combination of laboratories, workshops and test equipment at our WPT test centre in Lathen, Germany. Our engineers could progress with rapid iterations of computer development and simulation, real-world testing in a laboratory environment and prototype construction and trials on the test track. In parallel, our technicians constructed and integrated WPT-systems into the test vehicles. After a hard year optimising and integrating the technology, we are justifiably proud of the result. In total, three 30 kW charging stations were delivered, together with three outfitted vehicles, two Nissan LEAFs and a Citroën Berlingo, of which two were delivered to the THD, together with two WPT charging stations, for the “E-Wald” e-mobility project. Q: What are the advantages of your system? The potential of integrating WPT-systems via an emulated DC fast charging standard is huge. We have demonstrated that our fast charging WPT-systems could be easily electronically integrated into all CHAdeMO vehicles with no impact on existing vehicle programmable electronic systems, AND without having to wait for the development of a WPT standard or creating your own interface from scratch. Looking to the future, this method could be further improved. 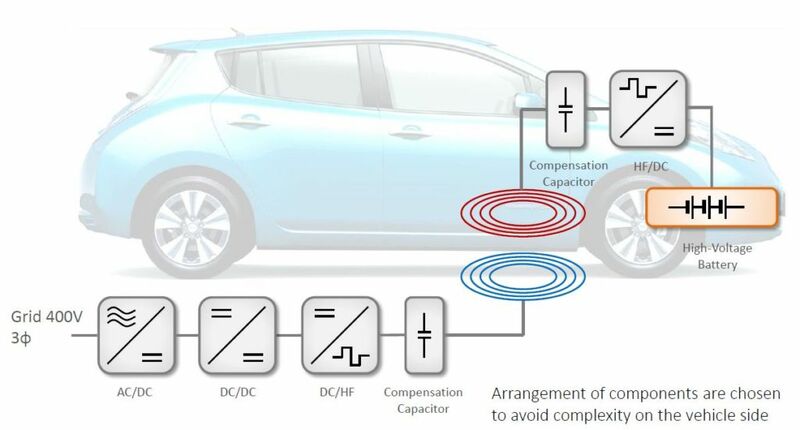 Some minor alterations of the CHAdeMO standard and creation of a “WPT mode” to accommodate some of the quirks of WPT-systems would reduce complexity. 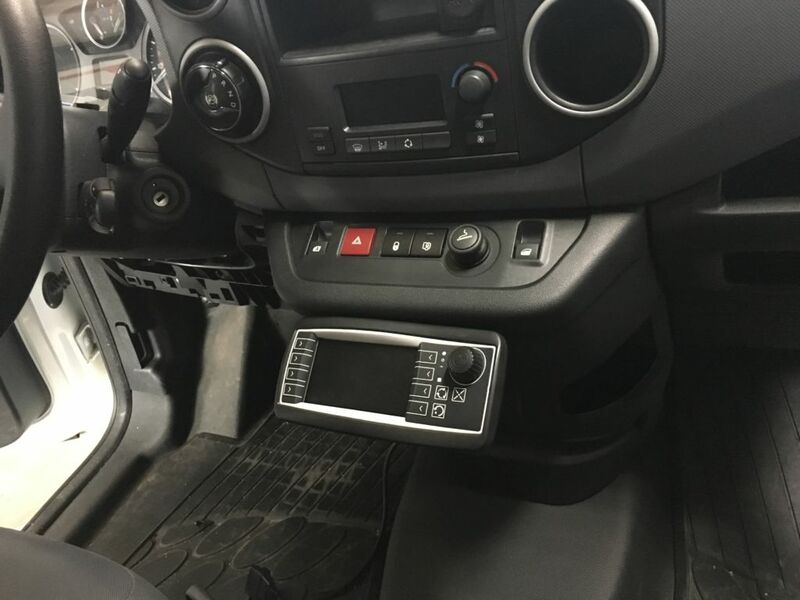 Additionally, if vehicle OEMs were to offer API-kits for their entertainment systems, this would allow positioning assistance and WPT-system information to be seamlessly integrated into the native display in the vehicle. Q: Will this be available in the market soon? What kind of applications? We intend to commercialise the product and are starting the process of production model development, a process that will take some time. We hope that, as early as in 2018, we can commercialise our product initially in Germany and eventually in other parts of the world. The application areas will most likely be for industrial vehicles (fork lifts, etc.) as well as commercial vehicles such as vans and light trucks, and eventually taxis and buses. We believe that a business case is there, because our system will allow for multi-shift use of EV’s, enabled by automated opportunity charging. Our aim is to completely remove the need to even think about charging.